I once had a friend who made chocolate chip cookies regularly. She called them “6 Minute Cookies.” I asked why. She said that it was to remind herself that they really only took 6 minutes of prep time before they got popped in the oven, so she never had an excuse not to make them for her family! I didn’t believe her, so she whipped out a timer and started to make a batch. Sure enough, it was 5 minutes and 42 seconds later when they went into the oven. I was FLOORED. I had been so used to thinking of homemade food as being time consuming or HARD, but she reminded me that it really can be surprisingly EASY. Last week, I announced a Challenge that promised to be fun, tasty, and inspiring. The task? 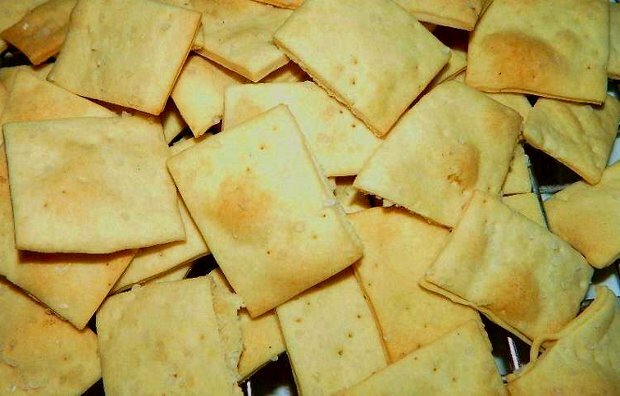 Make homemade crackers. As many times as you can or want to. The goal? To help you see how easy it is to eat convenient snacks without resorting to store bought options which are often full of trans-fats, hidden MSG, improperly prepared grains, or other nasties. The prize? 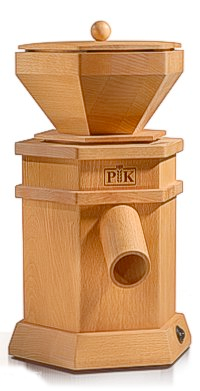 A $540 KoMo PK-1 Grain Mill from Pleasant Hill Grain. 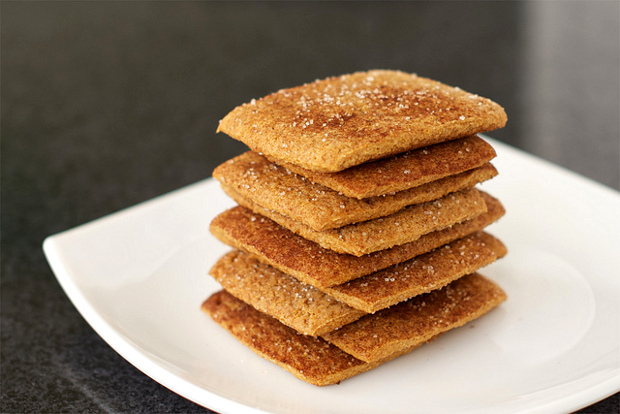 I shared my own recipe for Homemade Graham Crackers, and asked you to share yours in the comments. So, if you’re looking for healthy, tasty cracker recipes (many of them grain-free), check out the comments on that post! It’s been a week since the Challenge began, and I want to share an update on our collective progress. 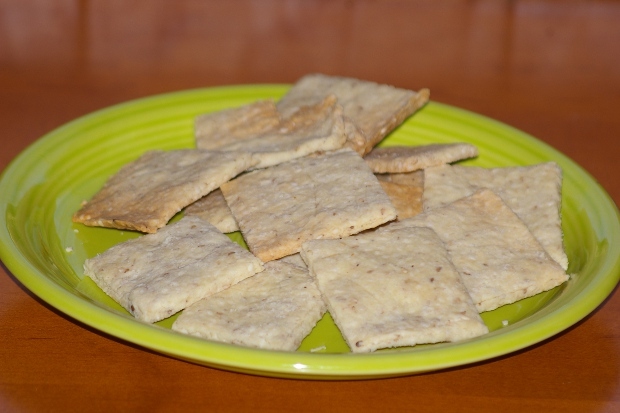 Without further ado, here are a few samples of the kinds of crackers you all have been making. If you want to include yourself in this post, please email me a photo of your homemade crackers (a picture of your kiddos chowing down on them would be cuter!) along with a brief description of the crackers you made. Alternatively, you can share about your cracker-making experience on your blog, and I’ll link to it here! 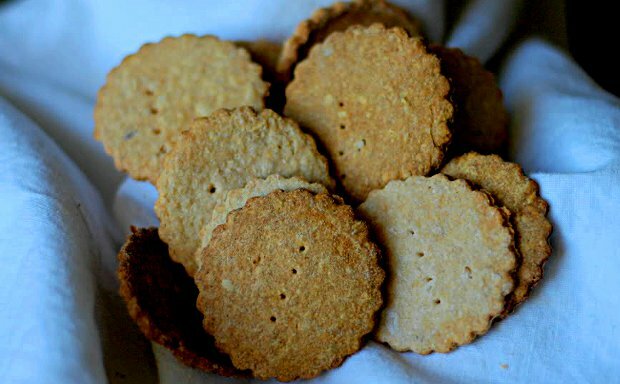 First up are these beautiful gluten-free sesame crackers from reader Julie Hill. Thanks, Julie! Don’t these look delicious? Kathy, you’re awesome. How did she get these round shapes? Inquiring minds want to know! 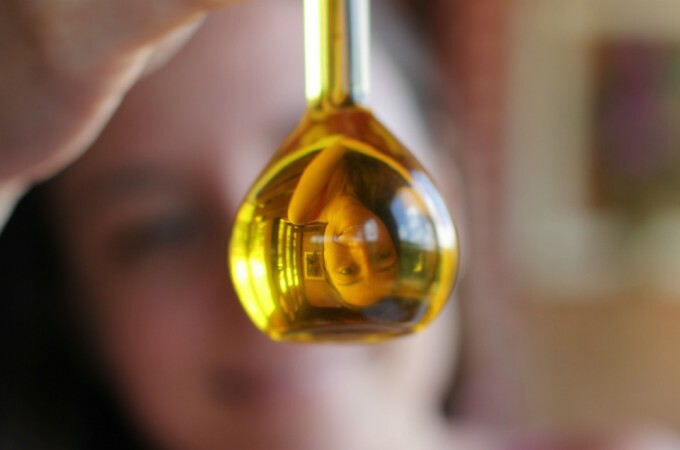 They’re so tiny, so it can’t be an inverted glass. A cookie cutter? Thank you, Kellie, for joining in the fun! 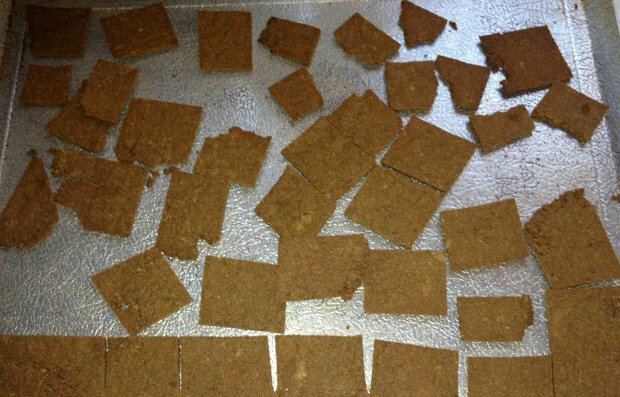 Shaye at The Elliott Homestead created this wonderful recipe for a soaked whole grain cracker for those of you who can’t buy or use sprouted flours. Don’t they look perfect? 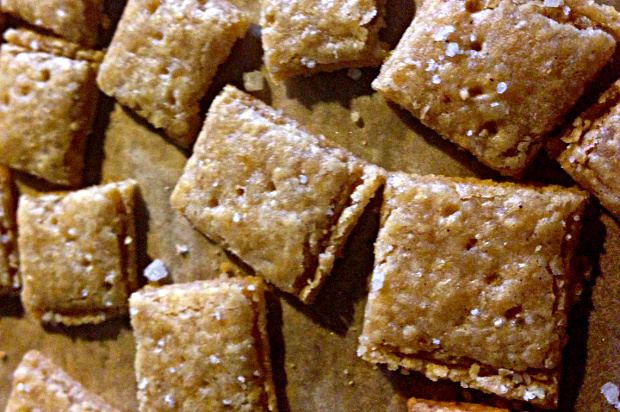 She’s sharing her recipe for Whole Grain Crackers with you on her blog. Thanks, Shaye, for the recipe and the inspiration! Remember our collective disappointment at the ingredients in store-bought organic cheese crackers? Well, if you find yourself jonesing for cheddar crackers, Hayley at Health Starts in the Kitchen has the solution to your misery. 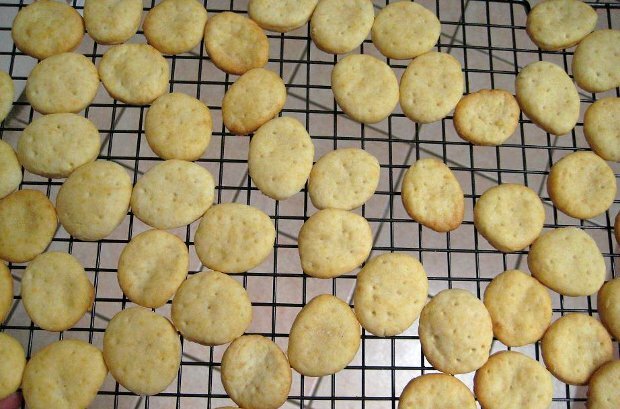 She’s sharing her recipe for Cheesy Gluten Free Crackers with you. Thank you, Hayley, for your creativity! Remember, every time you make crackers between now until November 11th, you’ll get an entry to win a KoMo PK-1 Grain Mill (valued at $540). The KoMo PK-1 is the Porsche of grain grinders — luxurious, efficient, and attractive. It’s beautifully crafted with a solid beechwood exterior, a quiet electric motor, and corundum/ceramic burrs to grind a wide variety of grains including wheat, einkorn, oat groats, rice, kamut, spelt, buckwheat, barley, rye, millet, teff, quinoa, amaranth, and sorghum. It will even grind spices, lentils and dry beans. To join in the Challenge, simply make these or any other crackers, then go to the main Challenge post to enter. Thank you all for joining in the fun! Thanks for sharing my cracker recipe! I hope everyone enjoys it! I would really love it too! I’m on the look for good cracker recipes that match my dietary restrictions right now so these would be a great help, and I’m sure a lot of others would like them as well >.< Please share, everyone! We love these wheat thin crackers. mix dry ingredients stir in butter and water until you get a smooth dough divide in two parts put on lightly oiled baking sheets and roll as thin as you can get(the thinner the better)using pizza wheel cut into cracker size and poke holes in the crackers.Bake at 400 10-12 min. Opps forgot sprinkle with kosher salt before baking. I have also added smoked paprika and garlic.